There's a church festival across the street from me which is loud as heck. Trying to drown it out with some Lightning Bolt. LISTEN TO THIS SONG THIS IS JAZZ-RAP WITH GUITARO! how 'bout some classic metal to break up the rap? 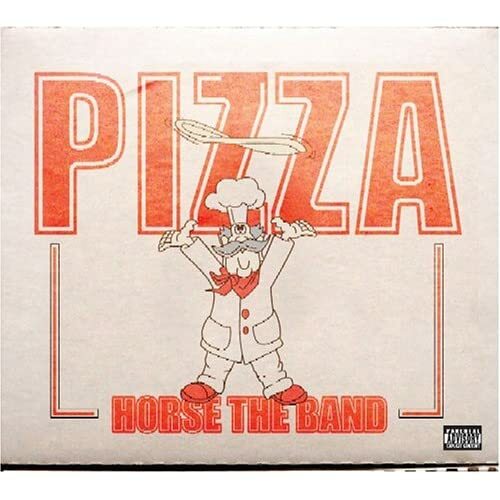 Horse the Band has an awesome album, the Pizza EP. They do a cover of the TMNT theme song, totally nerdy awesome fun. And back on the metal tip, a cut off one of the best metal albums I've ever heard. Native brazillian folk music meets heavy metal. Last edited by Professor S : 10-10-2008 at 11:09 PM. Haven't heard of them before. Nice stuff. I could really go for some pizza now. So violent, yet so catchy.